Choosing the wrong look for your style, too many pieces for the bedroom space or selecting furniture that is out of proportion with your bedroom’s dimensions will create a bedroom that never looks or feels quite right. Here are some considerations that will help you make the best bedroom furniture selection when you visit us here at Millbank Family Furniture. The first thing you want to do is grab your tape measure and start measuring. Include the floor to ceiling height as well. Then, use graph paper and create a scaled drawing of your bedroom, complete with accurate dimensions and the locations of your windows, doors, and closets. This will help Millbank Family Furniture’s representatives help you select the right size furniture, beginning with a proportionally sized bed! Our showroom has furniture samples in every type of wood we offer. Your job is to take a gander and choose the one that will look best in your bedroom. In some cases, a favorite wood might jump right out at you, other times your selections will be dictated by your budget or existing pieces in your bedroom. Perhaps you’re ready to choose a whole new style, upgrading your traditional bedroom to a modern one. Or, maybe you’re tired of your contemporary pieces and are yearning for a more transitional design. We offer bedroom furniture for every taste and we’ll be more than happy to give you quotes so you can mix-and-match pieces to fit your budget. Our catalogs are also available for your perusing, as is our furniture design team who can help you design a custom piece. Take the handy-dandy graph-paper model of your bedroom and sketch out the furnishings with their accurate dimensions to see if they will fit comfortably. Leave room for walking around, stretching on the floor, opening dresser drawers, etc. Even when you don’t order fully custom bedroom furniture pieces, you are still able to customize with the little extras that matter. First, we can show you different stains so your furniture will be finished to exactly the right shade. Then, choose unique furniture hardware by going through our samples to determine which ones will work best with your décor. Once your new furniture is delivered and put in place (and we hope you splurged on a new mattress to go with that gorgeous new bed frame! 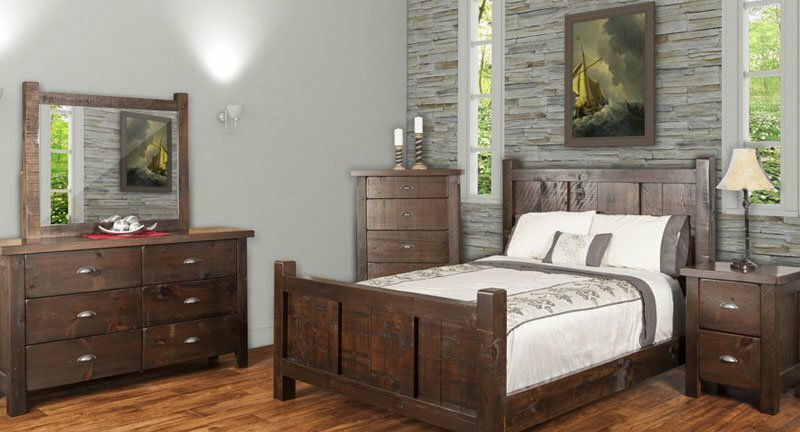 ), you can rest peacefully knowing you purchased a solid wood bedroom set that is perfect for your bedroom space and one that will last for a lifetime. 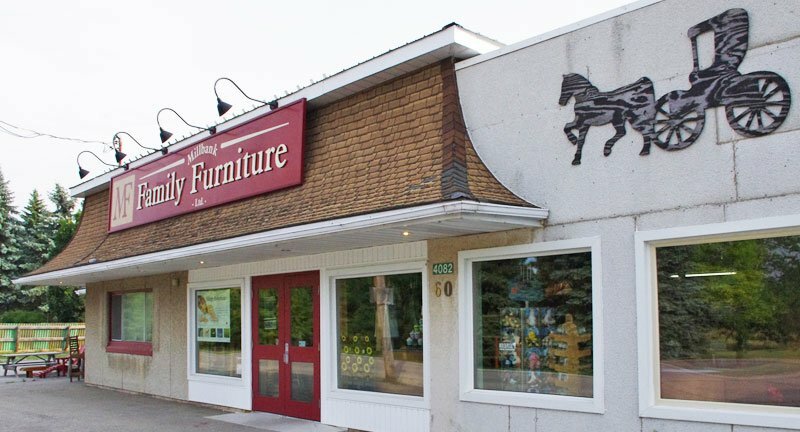 Perhaps you’ll dream about the next furniture you’ll be purchasing from Millbank Family Furniture. Have questions about designing or ordering solid wood furniture pieces for your bedroom? Contact us and we’ll help you get started.